I will refuse to believe that anyone belonging to Indian subcontinent is unfamiliar with jaggery ("gud" in Hindi). I have spent my entire childhood chomping on sugarcane jaggery. It was my grandfather's eternal favorite in winters. The moment winter winds knocked at our doors, jaggery hunting began. Do you know palm jaggery and diabetes have a connection? I still remember how my family gushed over the uncountable benefits of it. Since I come from a family of diabetics, my familiarity with jaggery is as old as I am. As time progressed, we were introduced to palm jaggery as well. Palm jaggery and diabetes loathe each other. My family fell in love with the newest version of jaggery and left diabetes sulking in the corner. Till date, we can't get over its countless benefits. Palm Sugar has been the staple sweetener in India and some South-Asian nations for a large number of years. As of late, particularly after British Invasion, Indians started using white blanched sugar. When the palms are up to 20 years of age, they start blossoming. It is exactly then that they yield the sweet sap from which palm sugar is made. It is one of the richest sources of vitamin B12. Palm sugar is a sweetener produced from the sap of palm trees. Like I said, coming from a family of diabetics has made me research a lot on the alternative sweeteners. It will be cruel to deprive a person of sweet joys, so here I am giving some reasons for you to start using palm jaggery. However, I would insist that it is not a complete replacement for sugar. It does provide some relief from diabetes though. This means your body consumes more energy to digest it. As a result, this enhances digestion. It is not like numerous other weight reduction diets. 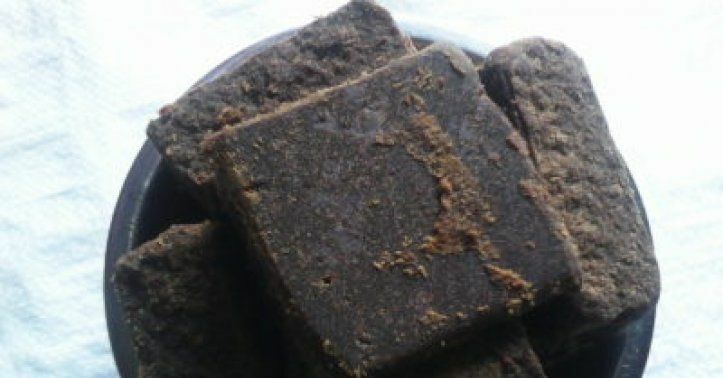 Palm jaggery burns fat fast. By and large, insulin helps store fat. Palm Sugar keeps insulin from flooding into the bloodstream. It circulates glucagons, which are great for fat burning. So, palm jaggery and diabetes are enemies, which is good for you! People of all body shapes and sizes, ages, and composition can devour Palm Sugar. When diabetics replace regular sweetener with palm jaggery they find a significant improvement in their metabolism and reduction in fat levels. Palm jaggery has a strong smell and tastes like Stevia. So, you can elegantly use it in tea, coffee, milk, puddings, porridge, pastries, sweets, and so on. Diabetes causes sweet cravings. When we are talking of palm jaggery and diabetes it is definitely better to have jaggery than to have refined sugar. Also, palm jaggery is low on Glycemic Index (GI), while GI of white sugar is higher. As mentioned earlier, palm jaggery helps burn fat and reduce cravings. Jaggery derived from Palm sap is a natural derivative. In a way, it contains the touch of nature, which helps to heal you with zero side-effects. Do you have a sugar craving? Want to grab an artificial sweetener? Stop! Eat palm jaggery instead. Just don't eat it too much. Eat it in moderation. I promise you will love it. Vatsla Singh is a content curator and writer. She takes active interest in the psychology of the human mind. Thus writing about spirituality and personal growth comes to her easily. She also tussled with borderline bi-polar disorder, and consequently understood the importance of spirituality in life for better well-being. After thorough research and first-hand experience, she now truly understands the effect of yoga on mental health. Aside, you can catch her with her cats whilst she isn't typing away on her laptop.